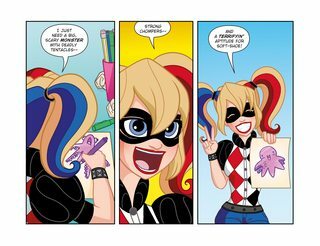 DC Super Hero Girls #7 – Out of the Bottle (2017) : “The Write Stuff”. 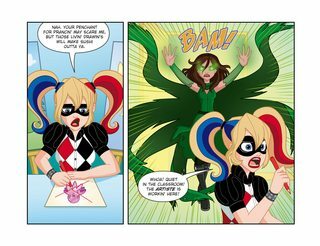 Batgirl and Supergirl face off against their evil doppelgängers in an epic ice cream eating contest! 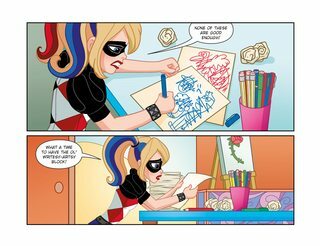 Meanwhile, the girls ask Harley to draw a new hero who can save the day. Can she meet her deadline? Or is it already too late?